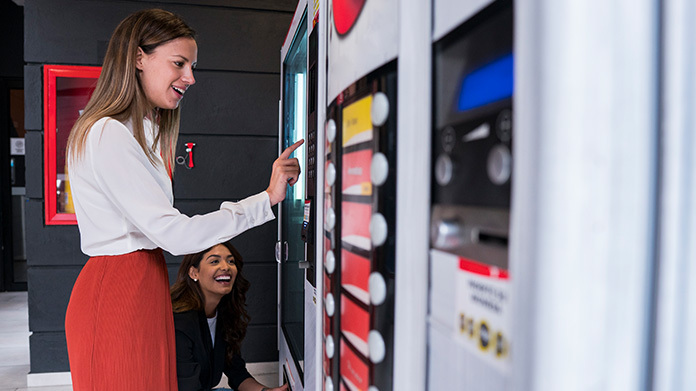 Our guide on starting a vending machine business covers all the essential information to help you decide if this business is a good match for you. Learn about the day-to-day activities of a vending machine business owner, the typical target market, growth potential, startup costs, legal considerations, and more! What happens during a typical day at a vending machine business? The cash in machines is collected when the machines are filled. Vending machines appeal to a wide swath of people. Everyone gets hungry and thirsty (or wants a toy) at some time. How does a vending machine business make money? A vending machine business makes money by selling items in the business’ vending machines to customers. Vending machines may sell snacks, soft drinks, hot drinks, sandwiches, hygiene products, candles, toys, and other products. What is the growth potential for a vending machine business? The volume of a vending machine business can be high. It’s not uncommon for a business to operate 25 to 50 machines, and some businesses have many more. Kris Gundersen, for instance, operated a vending machine business that had 200 machines. As vending machine businesses grow, they usually remain within a single city or region. Businesses that operate high-profit machines might have machines placed throughout a 50-mile radius. Those that operate lower-profit machines often operate within smaller radii. The distance between machines is kept short to minimize drive time and fuel costs when going between machines. What are some skills and experiences that will help you build a successful vending machine business? Vending machine business owners should have a basic understanding of business practices and a knowledge of how to repair vending machines. Business owners who don’t have experience running a business may want to take a business course through a community college or online. Coursera, Open Culture and Harvard Business School offer business courses. Business owners who don’t have repair knowledge should take a course on repairing vending machines. The National Automatic Merchandising Association (NAMA) offers a training program that leads to certification as a journeyman technician. In addition to these resources, there are a number of books on starting a vending machine business. Some popular titles include The Truth About Vending and Vending Business. These and similar books provide industry-specific advice that won’t be found in general business classes. What are the costs involved in opening a vending machine business? The startup costs for a vending business are manageable. It’s possible to start a business for a few thousand dollars, and a small business might be started with less than $1,000. Business owners must purchase a vehicle, equipment (vending machines), and supplies (items machines sell). To save on vehicle expenses, many business owners start out using their own vehicle. As a business grows, a larger vehicle that can hold more supplies may be needed. Such a vehicle can be purchased once the business brings in sufficient revenue. Vending machines vary in cost from a few hundred dollars to several thousand. VendSoft reports that bulk machines, which sell candy and gumballs, cost between $150 and $450 each. Snack and soda machines run from $1,500 to $8,500. To keep vending machine costs low, business owners can purchase used or refurbished machines. This is an especially good option for business owners who have learned how to repair machines, for a new machine’s warranty is less important to business owners who can make their own repairs. With some machines, business owners can enter into contracts with suppliers to get free machines. Sometimes suppliers will agree to furnish and maintain a machine as long as a vending business agrees to purchase supplies from the supplier. Supplies themselves don’t cost a lot because they’re purchased wholesale. For example, gumballs might cost between 2 and 5 cents each wholesale. Snacks and sodas cost more, but they’re still very affordable. What are the steps to start a vending machine business? Form a legal entity. Establishing a legal business entity prevents you from being personally liable if your vending machine business is sued. Open a business bank account. A dedicated checking account for your vending machine business keeps your finances organized and makes your business appear more professional to your customers. What are some insider tips for jump starting a vending machine business? The success of a vending machine business depends largely on where the business’ machines are placed. High traffic spots, such as transportation hubs, large office buildings, schools and grocery stores, generate more sales than areas with less foot traffic. 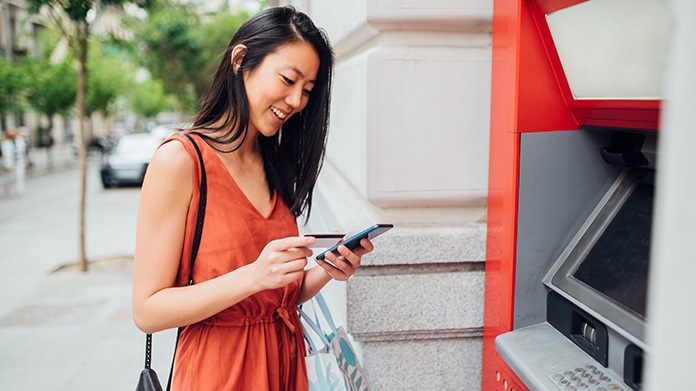 The Secret Formula to Getting High Traffic Vending Locations has suggestions on how to find and secure accounts in high-traffic areas. Promotional efforts for vending machine businesses don’t focus on attracting customers per se. Instead, efforts seek to gain new accounts, which are additional locations where machines may be placed. Having a website, advertising in the phone book and cold calling are all effective ways to gain new accounts. A vending machine business can keep its accounts by offering all of the products that the account holders want. This may require putting snack, soda, coffee, and frozen treat machines in a single location. Most vending machine businesses start out as one-person operations. Some business owners hire employees as the number of machines they have grow. Gundersen had three employees when his business operated 200 machines. Gundersen, however, recommends against hiring employees. He explains that the taxes, salaries and training costs reduce the business’ profits too much. Gundersen himself made the most money when he was operating his business alone. Certain state permits and licenses may be needed to operate a vending machine business. Learn more about licensing requirements in your state by visiting SBA’s reference to state licenses and permits. Vending machine businesses should consider requiring clients to sign a service agreement before starting a new project. This agreement should clarify client expectations and minimize risk of legal disputes by setting out payment terms and conditions, service level expectations, and intellectual property ownership. Here is an example service agreement. Recommended: Rocket Lawyer makes it easy to create a professional service agreement for your vending machine business when you sign up for their premium membership. For $39.95 per month, members receive access to hundreds of legal agreements and on call attorneys to get complimentary legal advice. A vending machine business is generally run out of a warehouse. Businesses operating out of a physical location typically require a Certificate of Occupancy (CO). A CO confirms that all building codes, zoning laws and government regulations have been met. Before leasing, confirm that your landlord has or can obtain a valid CO that is applicable to a vending machine business. Review all building codes and zoning requirements for your business’ location to ensure your vending machine business will be in compliance and able to obtain a CO. Most vending machine items sell for anywhere from 25 cents (for candy or gum) to a few dollars (for snacks and drinks). A few vending machines (usually in airports) offer high-end electronics that cost much more, but these are exceptions. What are the ongoing expenses for a vending machine business? Equipment costs, in particular, shouldn’t be underestimated. Cold, wet weather can cause outdoor machines’ electronics to malfunction, and machines anywhere can be vandalized or stolen. Any broken machines need to be repaired, and any stolen machines need to be replaced. As mentioned, knowing how to fix machines will keep repair costs low. To reduce the risk of vandalism and theft, business owners should look for safe, high-traffic areas to put their machines. How much profit can a vending machine business make? The individual markup on vending machine items is high. For example, the gumball that costs 2 to 5 cents wholesale will sell for 25 (or maybe 50) cents. Snacks and sodas generate $1 or more per sale in profits. Ultimately how much a business can make is determined by how many products its machines sell. This is why location selection is so important. A vending machine business can increase its profits by offering service for other company’s vending machines and selling products in larger packages through local retailers.